"Development Cooperation between Public and Private Organizations on Industrialization and Local Adaptation to Its Current and Future Impacts"
Map Ta Phut is a town in Rayong Province, Thailand. It is the site of Thailand's largest industrial park, the Map Ta Phut Industrial Estate. Provincial offices are in Map Ta Phut. According to the World Resources Institute, Map Ta Phut is "...one of Thailand's most toxic hot spots with a history of air and water pollution, industrial accidents, illegal hazardous waste dumping, and pollution-related health impacts including cancer and birth deformities. The Map Ta Phut Industrial Estate is a large industrial park in the town of Map Ta Phut in Rayong Province, Thailand. Part of Thailand's eastern seaboard economic region, it is the country's largest industrial estate and the world's eighth-largest petrochemical industrial hub. It was opened in 1990 and is managed by the Industrial Estate Authority of Thailand, a state enterprise under the Ministry of Industry. Map Ta Phut houses five industrial estates, one deep-sea port, and 151 factories, including petrochemical plants, oil refineries, coal-fired power stations, and iron and steel facilities. The zone occupies 166 km2. The area contains around 30 agricultural and residential communities with more than 49,000 residents. On 6 March 2000 a phosgene gas leak at the Thai Polycarbonates plastic factory killed two workers and injured many locals. MAIDS-GRID Program would like to thank Ms. Penchom Sae-tang, Director, EARTH, on the local resource and personnel supports. We also fully regard a kind assistance from Khun Nid and Khun Tuk for their local coordination. Most importantly, we are enriched by the local community members whose knowledge are precious for our field visit. We wholeheartedly support their movement for community rights and environmental conservation. After as few as one or two semesters many of the students gain the skill and confidence to hold a conversation in English. With their gained skills in English many are able to find jobs in numerous fields relating to tourism, sales, etc, giving them new hopes and ambitions. There are 5 different levels of Thai language courses (Thai L-1 – Thai L-5). Some levels have as many as 10 classes and some with as few as 2. With the hard work and dedication every student brings with them every week, after a bit of learning nearly every student can conversate and even find jobs in the Thai community. Also, being able to speak Thai helps protect them from being exploited, abused, or sent back to Burma. While Burmese is the official language of the country and the mother language of the Bamar, many of the students come from Shan State, Karen State, Chin State, and other remote areas where the language is not Burmese but rather their local language. To better educate them and give them the opportunity to return to Burma to work in the future, or even to help them build relationships with other migrant workers living in Thailand, DEAR Burma offers Burmese language courses. As of late we have started to offer different courses to branch out and give more hope and opportunity to our students. We now offer computer courses, Photography, and other classes, as well as a fully stocked library with books in numerous languages. Dr. Carl Middleton and Mr. Joydeep Gupta Greet and give some information about Koh Kret to the MAIDS Students and The Third Pole Journalists. Our group was first greeted and briefed by the islands main administrators, who gave a brief history of the island, and generously answered in detail many of the group’s questions relating to flood prevention and how urban and environmental changes were affecting the island. They emphasized a ranged of challenges, including river bank erosion, managing pollution, and the impacts of flooding. representatives from Koh Kret Sub-district Administration Organization give a brief historical background of the island. On 18 August 2017, Assistant Professor Dr. Naruemon Thabchumpon, Director, MAIDS Program congratulates Assistant Professor Dr. Ackadej Chaiperm, Director, MAG Program on the successful Opening Ceremony at Chula Narumitr Hall, Chulalongkorn University. The MAG Program is a one-year international program. The Program is administrated under the Faculty of Political Science, Chulalongkorn University. It is unique among other programs in Thailand and Southeast Asia which offers three specialization in the multidisciplinary overview including state (public) governance, civil (society) governance, and corporate governance. 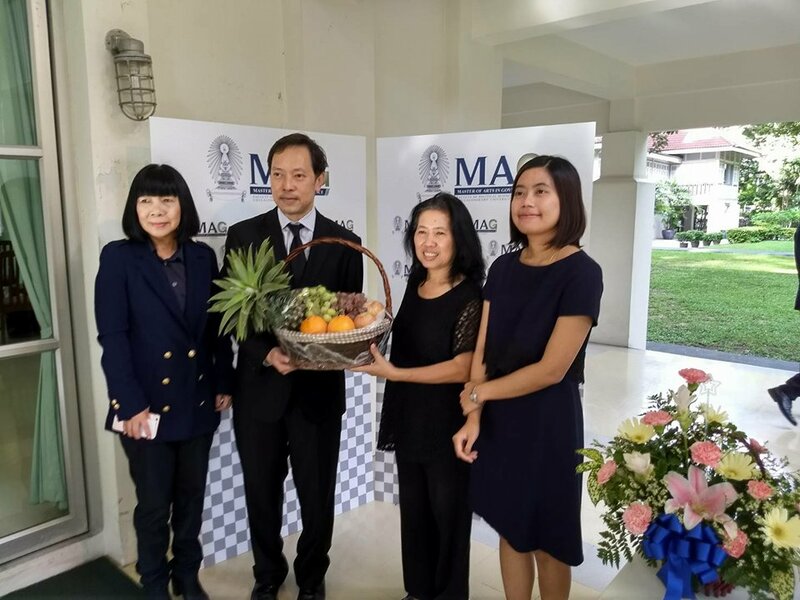 The MAG Program is the second international program of the Faculty of Political Science, Chulalongkorn University following the MAIDS Program which has been operated since 2003. The MAG Program's Core Value is “To Provoke Critical Thinking and Propose Solutions Based on Collective Decisions on Righteousness, Justice, And the Common Good." On 7th August 2017, Associate Professor Dr. Ake Tangsupvattana, Dean of Faculty of Political Science, Chulalongkorn University gave a welcoming speech to all new MAIDS Students class of 2017. In this event, Assistant Professor Dr. Naruemon Thabchumpon, Director of MAIDS Program and others lecturers ; Deputy Director for Research Affairs Assistant Professor Dr. Carl Middleton, Deputy Director for Teaching Affairs Assistant Professor Dr. Jakkrit Sangkhamanee, Assistant Professor Dr. Thanapan Laiprakobsup and Dr. Victor Prasad Karunan joined the event and introduced themselves and courses. 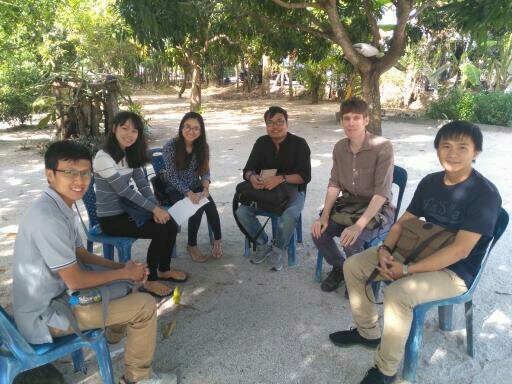 Then the 16 news students from Indonesia, Myanmar, Nepal, Vietnam and Thailand introduced themselves; while the alumni gave some brilliant tips and experiences about the MAIDS Program. In the afternoon, the new students went on a campus tour by starting from the Computer Laboratory, Political Science Library, Central Library, CU Sport Complex, CU Health Center and Graduate School. 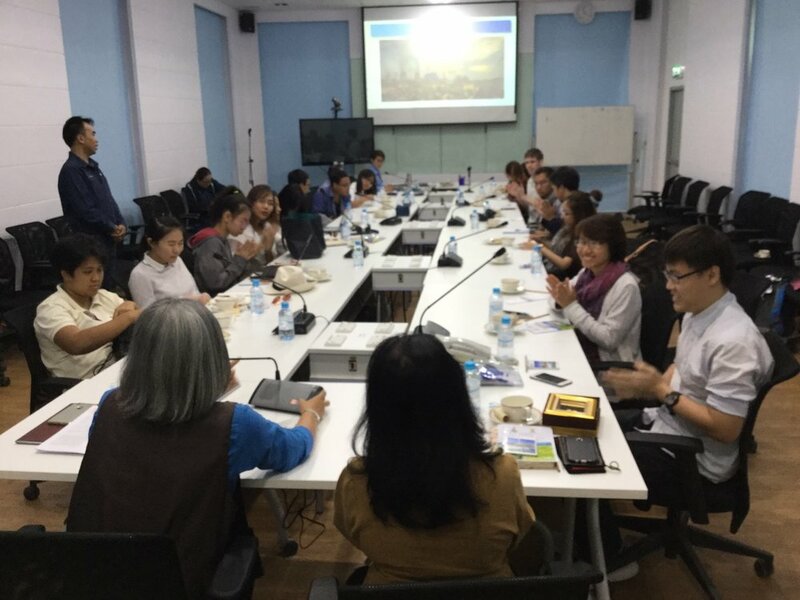 Co-organized by the Master of Arts in International Development Studies (MAIDS), the MA in Southeast Asian Studies Program (SEAS), the Institute for Asian Studies, the Center for Social Development Studies (CSDS) of the the Faculty of Political Science Chulalongkorn University. During the visit, Dr Carl Middleton of CSDS and MAIDS offered a lecture titled “Think global, act ‘teleconnected’ local: Exploring the connections between regional trade, water security, and community vulnerability in Bangkok and Tokyo.” The lecture sought to stimulate discussion amongst the group on how processes of industrialization and urbanization in East Asia have impacted peri-urban wetland spaces and community livelihoods in Bangkok and Tokyo. Following a brief discussion on the lecture, the group toured the Chulalongkorn University campus and visited the CU Museum. On 14th June 2017, the MAIDS and CSDS programs were very glad to welcome Prof Xiangming Chen and his Faculty colleagues and 25 students from the Center for Urban and Global Studies of Trinity College, Hartford, US. The faculty staff and students were mid-journey through their field trip visiting “River Cities” in China, Thailand and Cambodia.